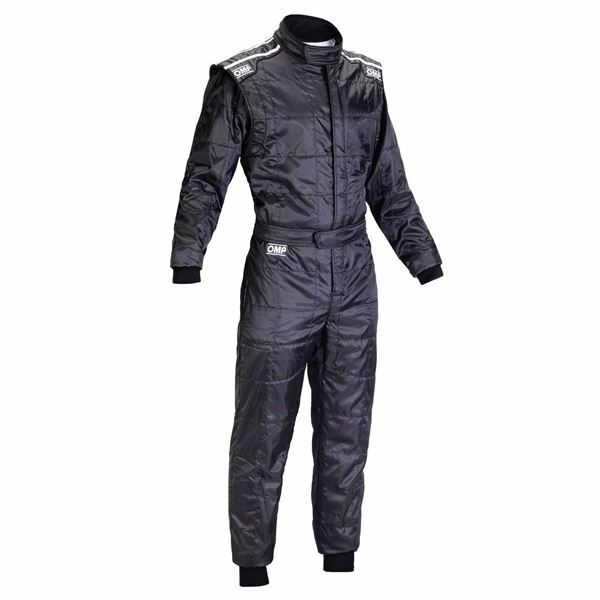 The KS-4 is an entry level go kart suit from OMP which is ideal for indoor karting or other racing which does not require a CIK level 2 approved suit. For protection the suit features a single layer polyester outer and features a soft cotton internal lining for comfort. Floating sleeves and breathable panels on the shoulder and leg area make the KS-4 a comfortable suit which provides freedom of movement when in the driving position. The single colour design with black cuffs and epaulettes give the KS-4 the look of a higher level go karting suit at an entry level price tag. Available in a range of kids sizes. For adult sizes see the KS-4 Kart Suit.